and if the results are cute. Using scissors, cut the unfolded piece of tissue paper right down the middle, length-wise. 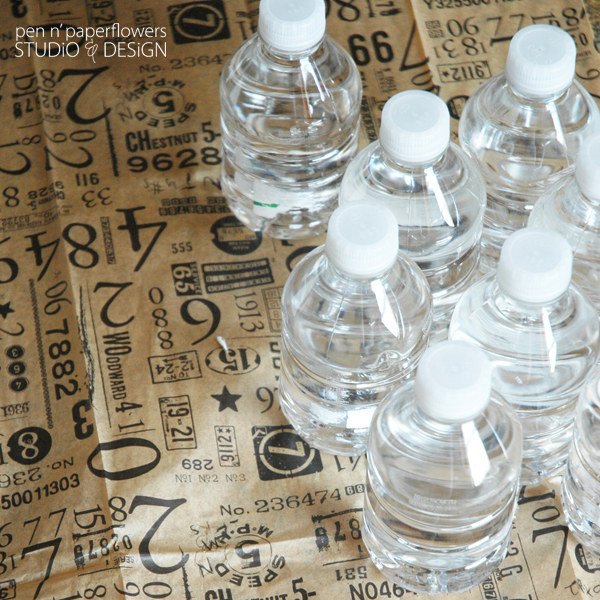 Run strips of clear packing tape across the top of the tissue paper. 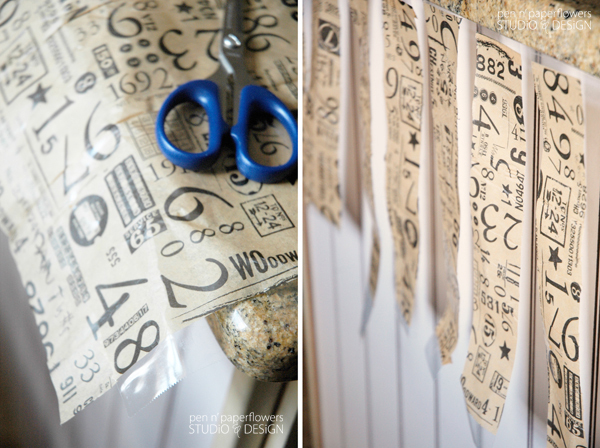 IMPORTANT: Leave a 1" overhang of tape to both the beginning and end of each strip you create. Also, leave room between each strip of tape to allow for margin of error when taping and cutting. 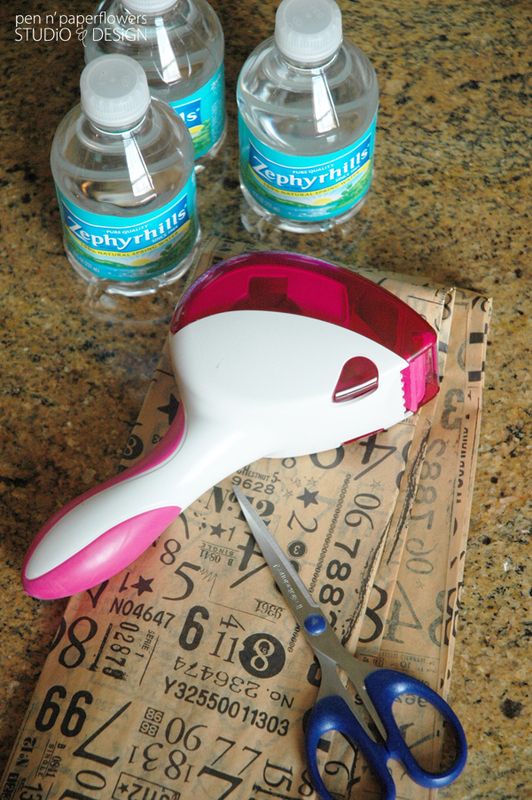 allowing a single strip to dangle off the edge of your work surface as you cut each of the labels to size. 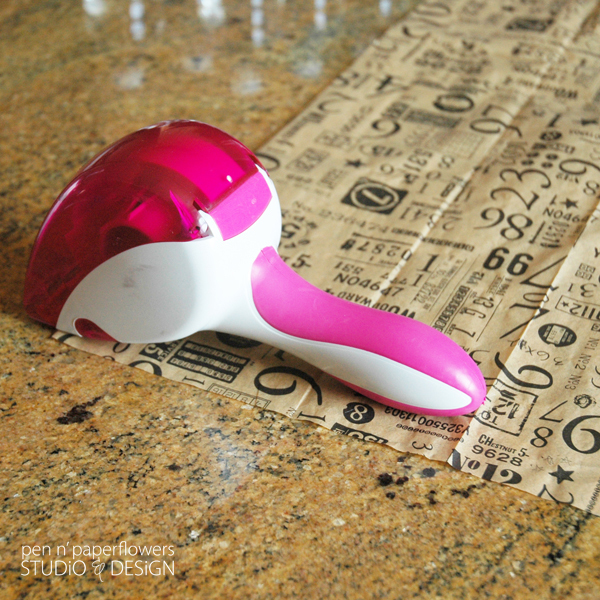 You can see the tape easier this way and makes cutting easier too. TIP: Hang your cut strips from the edge of the countertop until you are ready to apply them. 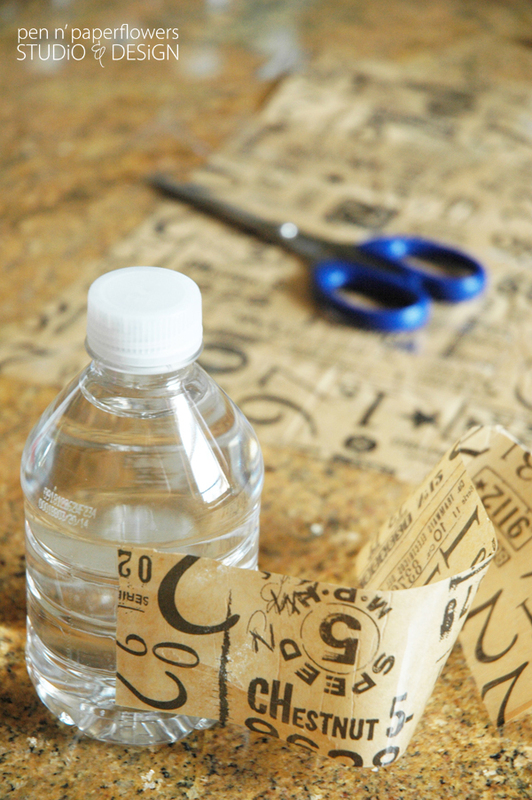 start on one side of your water bottle and wrap it completely around. Don't worry about the overlapping - unless it's completely obvious - at which point you can trim to size. 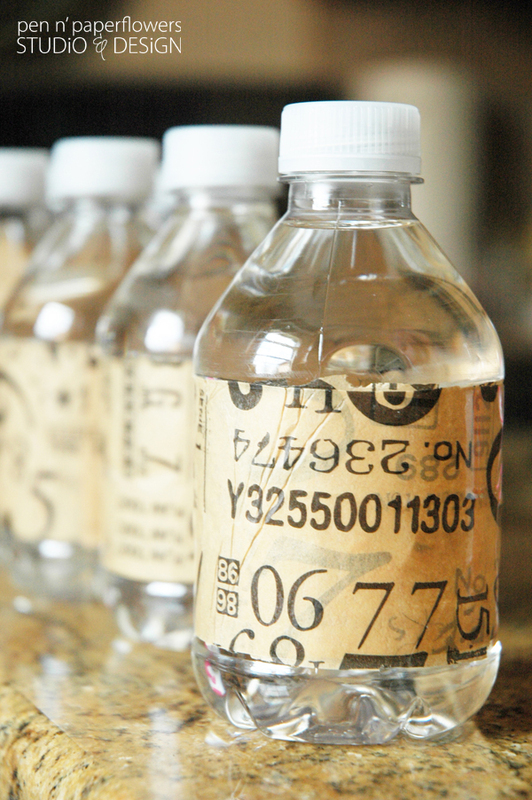 and it also make the labels a bit more "water-resistant" when serving them cold/on ice. • STATIC CLING. As you go to apply the tape strips, the tissue paper will rise up to meet the tape. • You MUST work on a surface that will allow you to easily remove the taped tissue strips, like a counter top. • Use extreme caution when lifting the large, taped piece of tissue paper from your work surface, in preparation for cutting. • Select a pattern WiTHOUT stripes or distinct horizontal or vertical patterns to avoid driving yourself nuts while applying the tape strips. WHERE DiD I GET MY TiSSUE PAPER? 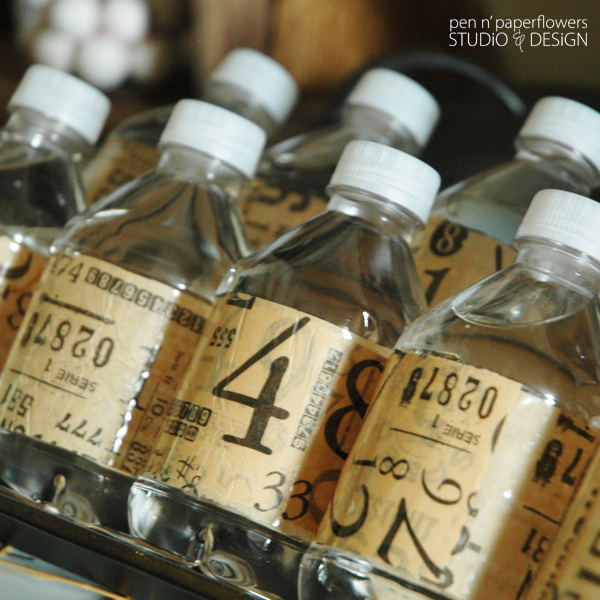 This a fabulous vintage-inspired paper from 7Gypsies - one of my favorite paper crafting companies. I got it from The Shoppe at Somerset. my favorite crafting supply store and magazine publisher. so why on Earth would I be sharing an idea like this? sometimes I just don't like "matchy-match" celebrations. using things I already have on hand.